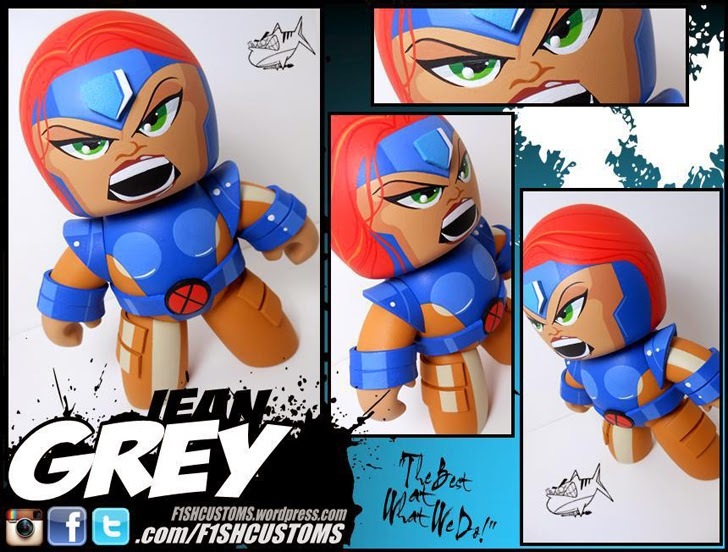 Jean Grey a.k.a. Phoenix is a mutant and member of the X-Men, she first appeared in Marvel Comics X-men #1 in Sept. 1963 by Stan Lee and Jack Kirby. Actress Famke Janssen has portrayed Jean Grey a.k.a Phoenix in many movies including The X-Men movie series and The Wolverine (2013). The Mighty Mugg above portrays her classic look.